Article from Fox News by Jennifer Earl. The government-funded health care system — strongly opposed by President Trump and fellow Republicans — would expand benefits beyond what is already offered under former President Barack Obama’s Affordable Care Act. 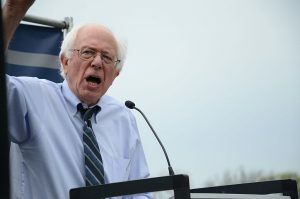 The legislation was first introduced in 2016 by Sanders, who said it would be another step toward achieving universal health care. Several independent studies have estimated that government spending on health care would increase dramatically, in the range of about $25 trillion to $35 trillion or more over a 10-year period. Specifically, a study released over the summer by the Mercatus Center at George Mason University estimated it would cost $32.6 trillion over 10 years. CONGRESS is just as BAD.. I WISHED for once the DEPLORABLE DEMOCRATIC PARTY was VOTED out in the MIDTERS and the PRESIDENTIAL ELECTIONS.. AND let them see how GREAT this Country can be..